By many customized Android mod (such as CyanogenMod), G1 can move the apps which installed by user self to SD card automatically, thereby keeping G1’s internal memory available as much as one can do. But, the system apps still occupy many memories while using them. So, what we can do, is to move the internal apps cache to SD card too! To implement this, we need to use terminal app in G1 or ADB in PC. 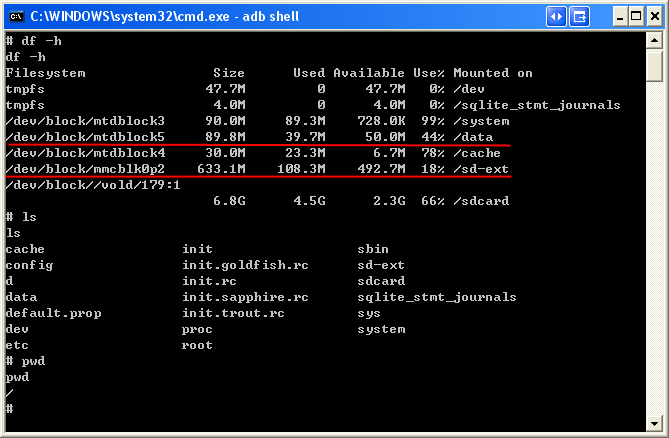 I prefer ADB, because it’s better to using big PC’s keyboard, rather than G1’s for typing lots of command lines. 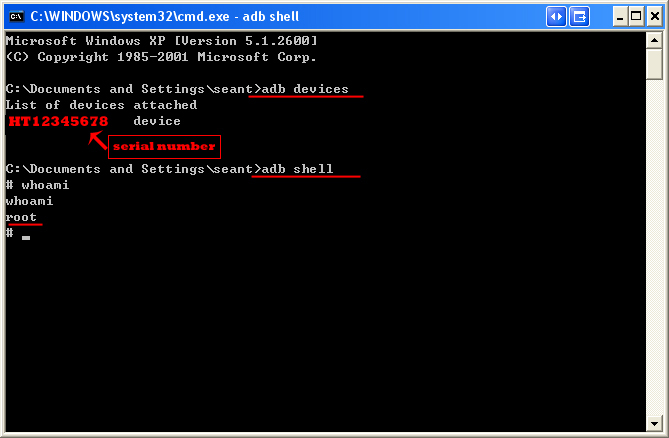 Can click here for reference of using ADB. In cmd window, type “adb devices” and will see the all devices of android, then, type “adb shell” to remote the internal shell of G1. Before do anything, make sure you are “root” by using command “whoami”. For most people, their G1’s version should be higher than RC29 which is the rootable version. So, we have to downgrade the G1 to RC29 first. “Rooting G1” means to have the root permissions, then you can do whatever you want as root, such modify the kernel or install the application which needs root permissions. Now that you have root, you can use HardSPL to apply flash other ROM images, create full backups of your phone, install the latest build from the Android source, and usually resurrect your phone if it is “bricked”.